Razer to close out the work week has launched two new additions to its Cynosa Chroma line of gaming keyboards. 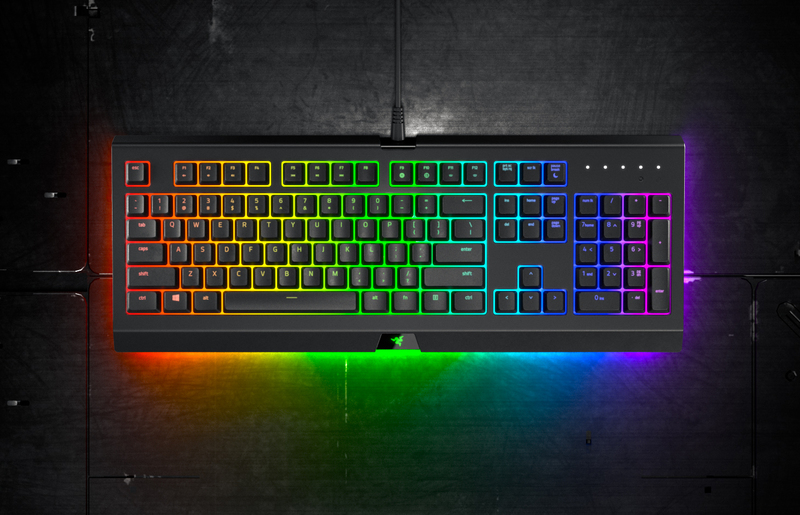 The new Cynosa Chroma and Cynosa Chroma Pro, described as feature-packed but value-priced boards, each feature soft-cushioned keys, 10-key rollover with anti-ghosting, programmable keys with on-the-fly macro recording, 1,000Hz ultrapolling, a gaming mode option and a spill-resistant design for improved durability (how many keyboards have you ruined by knocking your drink over during an intense gaming session?). In line with the latest trends, the boards also feature individually-backlit RGB lighting for a “colorfully immersive gaming experience” that’s driven by Razer’s Chroma technology. And if you really want to step your light game up, the Pro version adds 24 customizable lighting zones underneath the base of the keyboard to illuminate your desk. It’s the first time Razer has offered an “underglow” effect but probably won’t be the last. The boards have access to lighting profiles that change dynamically during gameplay and can be activated when installing titles like Overwatch and Quake Champions. Most of Razer’s products are named after predatory or venomous creatures. This latest release is no exception as Cynosa is a genus of spider in the Lycosidae family. It apparently only contains one species, Cynosa agedabiae, which is said to be found in North Africa. The Razer Cynosa Chroma and Razer Cynosa Chroma Pro are available as of writing from Razer’s online store. Expect to pay $59.99 for the base model and $79.99 if you want the Pro variant with the added lighting effects.